but was unable to isolate the element. but was also unable to isolate it. to obtain this hard brittle silvery metal. and to remove color from glass. and led to widespread use in steels. a cofactor in many enzymes. and psychiatric disturbances, and maybe vocabulary confusion. just becauses their ores and lodestones were found in Magnesia. or having more than one manager, or seeing babies in mangers. the syndrome is unrelated to the male gender, specifically. 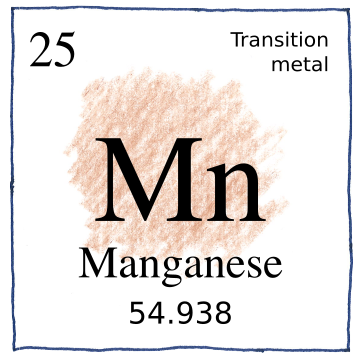 Manganese is not a language spoken near Rio Manga in Honduras. manganism is undiagnosed due to the rareness of the condition.